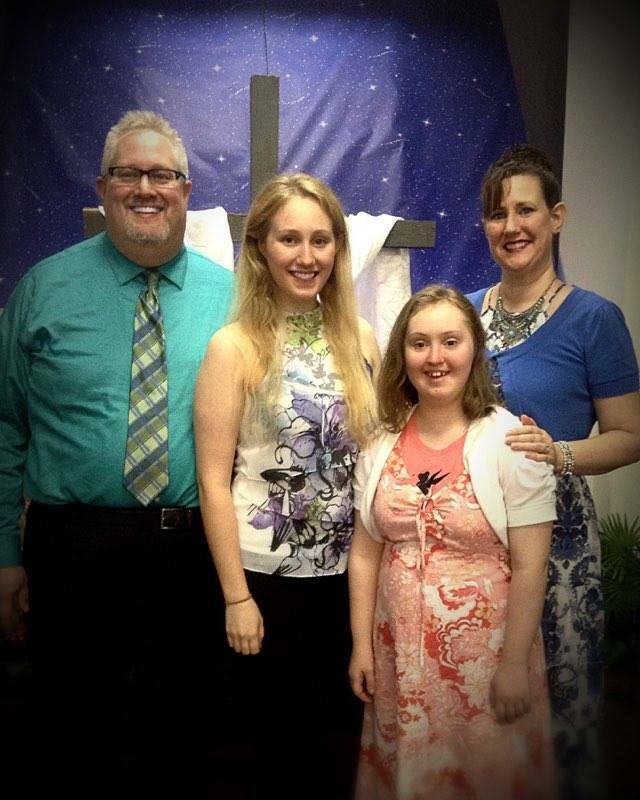 ​Marvin and Teresa Miller love pastoring the congregation of Wellington First Assembly, Kansas. Marvin, a lifelong Nebraska Cornhusker and Teresa, an Oregon Duck met as music majors in college and married in 1992. We are blessed with two daughters - our eldest in college in Virginia and our youngest living her experience as an active teenager with Down Syndrome. Both Marvin & Teresa are bi-vocational. Marvin teaches 5th grade math and Teresa is an instructional coach in the Haysville School District. Our life experiences as parents of a child with Down Syndrome remind us to keep things simple as we welcome everyone to worship with us. We really believe that we offer a place of hope where you belong! The Miller's love to hear each person's story and how God is transforming their lives. Pastor Marvin enjoys chatting with kids of all ages! Come tell us your story! We would love to meet you!